Earlier this week, Anaheim GM Bob Murray effectively put his entire roster on the trade market with comments he made to LA Times reporter Helene Elliott (except Teemu Selanne and Saku Koivu). While that instantly made most Blackhawks fans start wondering what it would take to get Bobby Ryan or Ryan Getzlaf to Chicago, there’s another player in Anaheim that should be on Stan Bowman’s shopping list. Veteran defenseman Francois Beauchemin would be an ideal addition the this Blackhawks roster. Beauchemin, 31, is averaging over 26 minutes of ice time per game through 38 games this season, but has put up only 11 points (four goals, seven assists). He has, however, blocked a Ducks-leading 84 shots and has been credited with 78 hits already this year, and is averaging an NHL-high 4:53 on ice per game short-handed. Beauchemin has a $3.8M cap hit on a deal that ends this coming summer. Bowman is looking to add a player that could be a top-four defenseman to the Hawks’ roster and, obviously, would like to improve the team’s special teams play. Bringing in a penalty killing ace like Beauchemin would certainly be a difference maker for the Hawks. And Chicago has the cap space to fit Beauchemin. There would be two potential hang-ups with any deal the Hawks would consider for Beauchemin. First, he has a modified no-trade clause on his contract. According to CapGeek, his contract allows him to submit a list of 12 teams to the Ducks front office each June to whom he would accept a trade. 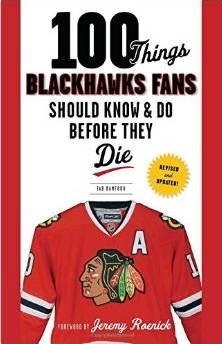 There is a chance that the Blackhawks aren’t on that list. Secondly, Murray has been clear that he isn’t looking to rebuild. So the Hawks would have to move pieces off their NHL roster, or players out of Rockford that appear to be NHL-ready, in a move to bring Beauchemin to Chicago. If Beauchemin would accept a deal to the Blackhawks, and Murray would take a package of players from Chicago that wouldn’t dramatically impact the core of the roster this season or moving forward, he has to be a name in Anaheim that Bowman would consider dealing for before the deadline. Beauchemin would be an insanely good pick up by Chicago, he’ll warrant a big return however. I wonder also, if Anaheim doesn’t want to resign him. Thereby making the asking price that much higher. That being said… I’d be thrilled. Just spit-balling here. But what about Cody Franson out of Toronto? The Leafs are loaded with defensive depth (first step in acquiring a trading partner for a defenseman), Bowman and Burke have made two deals previously (another plus), and the Hawks could offer the Leafs, a ‘Burke-type’ player…. I’m talking about Brian Bickell. I am not an NHL GM, so I don’t really understand how to iron out deals – I do know so history though. The Leafs aquired Franson by taking on a bad contract from Nashville (Lombardi @ 3.5 mil/season) which means to me, any trade going back to Toronto needs to offset that same contract. The package you present for Franson is laughably overpaying. Toronto would move a guy like him because they don’t need as many defensemen, so why would they take two back in old O’Donnell, worthless Lepisto or prospects in Lavin/Lalonde? Furthermore, why on earth would you sell a prospect like Morin for a potential rental like Franson? Is Franson tempting? Sure. But there will be a lot of callers on him, and the price probably wouldn’t be appropriate for the Blackhawks needs. With that said, I don’t think the Ducks would be asking for an astronomical package to get a guy who will be gone in July. The Ducks would be more concerned with acquiring players under control moving foward (see Bickell, Frolik, Montador) than a package of all prospects. Murray has been clear that he wants NHL or NHL-ready players in any deal. Re: Murray’s wants, very true. 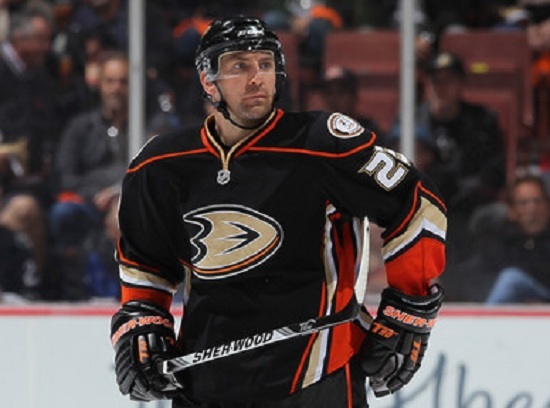 Beauchemin could be had for roster players…. not sure who, but in that we agree. There will be as many, if not more callers on Beauchemin than Franson however, and that should keep the price nice and high. Especially when Murray is basically advertising his intentions to be actively selling right now. Detroit, Philly off the top of my head are going to be immeadiately counter offering whatever the Hawks put forward. Could get pretty steep. What are you potentially thinking in exchange? Re: my post. I mention in my post not knowing what it would take to make a deal so if your opinion is that my suggestion is ‘laughably overpaying’ consider my preamble. As for Franson, he is an RFA, so likely not a rental. OD or Lepisto go back just to offset the depth Toronto would give up on the back end – in the event of injury. I assume that is pretty standard considering Toronto is battling for a playoff spot and at this point are not looking to sell. Morin would not be ‘sold’ but added in because he is a mid, to high range prospect, and because in my humble opinion, Bickell alone isn’t enough…. especially when you consider Burke took on a contract to acquire Franson. Consider also, that the Hawks likely have too much young depth (quantity) going into the next couple of seasons. With the number of players coming out of junior and college it’s going to be very crowded in Rockford. I think moving one or two nice forwards from down below isn’t such a bad idea, if the return is ok.
Further, Franson isn’t just kind of tempting, he is pretty damn tempting at 6’5, 200+, right handed canon. Either way were better short & long term. Were in a good spot because if we can get Getz, lets get him. If we can’t we still get a pf (thats not high salary) and dont have to trade as many prospects, which makes us even deeper/better/stacked when those guys are all ready for fulltime. So I read earlier today that the hawks have 10 million in cap space for trade this year and It will go up the longer bowman waits. If I were Bowman I would go out and spend the whole thing and get a top notch Dman and 2cnd line center. Which I think would solidify a cup apearence this year. I know this is short sighted and that’s why I’m not a GM. But I’m dieing to know what is going to happen! So can someone (maybe Tab) share with me what YOU THINK the “kind” of players bowman is looking for? I would think guys running out of contract after this year. Is he just going to target a bottom six Dman and some secondary scoring? or will he go out and try to get a well paid top 4 Dman and/or 2cnd line center? or mix and match. The Hawks are too slow now. Montador has to be the 6th defensemen. Not 5 or even worse 4. The hawks miss campbell a lot. I liked our defense(and team) from last year against vancouver we should have just stayed with that even though campbell’s contract was brutal. We could have just developed younger players to fill in until the cap space cleared. Scott should be a spot player used to protect our stars playing once every 10 games at most. Brunette should be off the team. Way too slow. OD is way too slow. We need a top four defender and a top 6 forward to compete for the cup and then cycle in our younger people from Rockford. The lack of speed is killing us. Thats why Edmonton keeps beating us when they are in last place. This stuff is very obvious. ← Blackhawks Rookies: Has Jimmy Hayes Already Stolen Bryan Bickell’s Job?